Any Sponsors or Logos you want...Just let us know. Dont forget to pick your background colour. 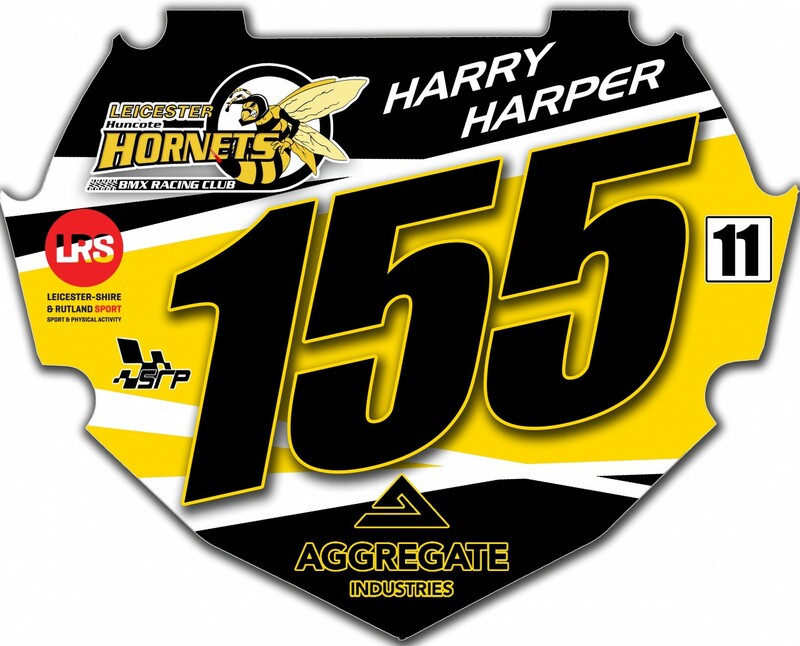 Click the button below to add the Huncote Hornets Club Box Plate Pro or Mini BMX Number Plate Sticker Sponsor Decal to your wish list.